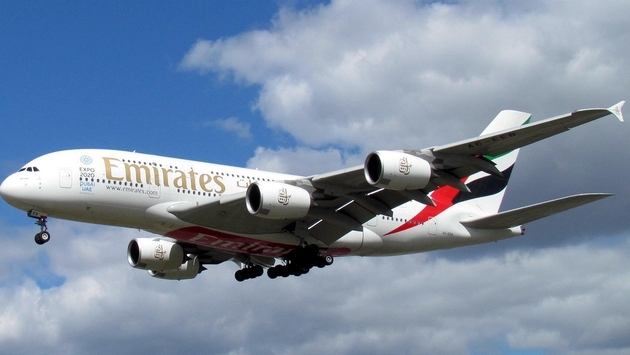 Emirates will begin flying long-haul routes from London’s third largest airport next year. The airline announced plans to open a route to Dubai from Stansted airport, which is located about 35 minutes north of the British capital. Up until now, the airport was known primarily for being the base of Ryanair Holdings and for being a budget hub, according to Bloomberg. Stansted has been trying to lure major carriers, and the Emirates’ decision is the first step toward that goal. The world’s largest intercontinental airline will begin offering the Dubai-Stansted route June 8. Ken O’Toole, who runs Stansted, told Bloomberg the Emirates decision provides a “crucial” boost for the U.K. at a time when the country is poised to leave the European Union. Emirates apparently chose Stansted because the airport is surrounded by the technology and pharmaceutical industry in places such as Cambridge and Peterborough. Additionally, companies such as AstraZeneca and GlaxoSmithKline have significant operations in close proximity. "Opening the London Stansted gateway was a strategic decision by Emirates to serve the thriving business community in London’s northeast and the wider 7.5 million population that fall within its catchment area," Emirates said in a statement. Stansted served about 24 million passengers in 2016 and will be Emirates' seventh U.K. gateway. The others include Heathrow, Gatwick, Manchester, Birmingham, Newcastle and Glasgow, according to Bloomberg. The route from Stansted to Dubai will be served by a new three-class Boeing 777-300ER, which includes six seats in first class, 42 in business class and 306 in economy class. The swank aircraft is also outfitted with fully enclosed private suites in first class.